Like most Toyotas, Celicas are well-built. They’re also reliable, and serve as models of ergonomic intelligence. 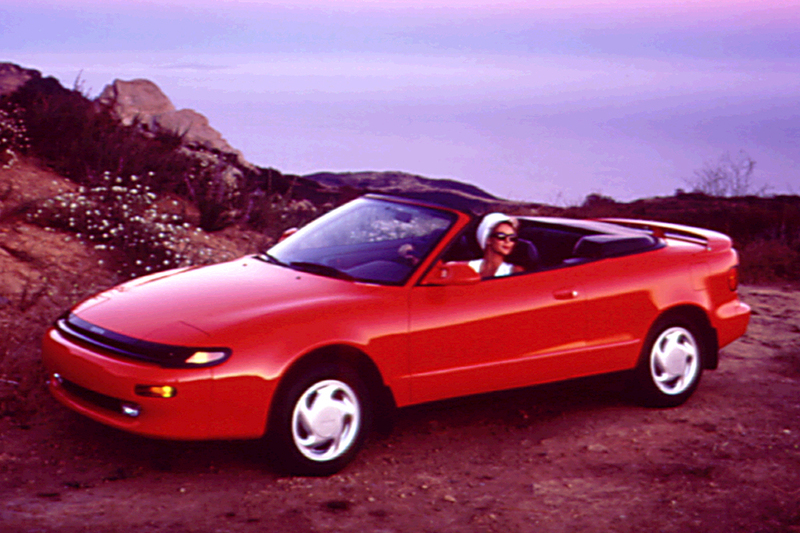 Curvaceously restyled for 1990, Toyota’s sports coupe rode the same front-drive wheelbase as the prior Celica generation. A 2-door coupe and 2-door hatchback went on sale. Two new engines debuted, and a driver-side airbag went into all Celicas. The base engine was a twin-cam 1.6-liter 4 cylinder. 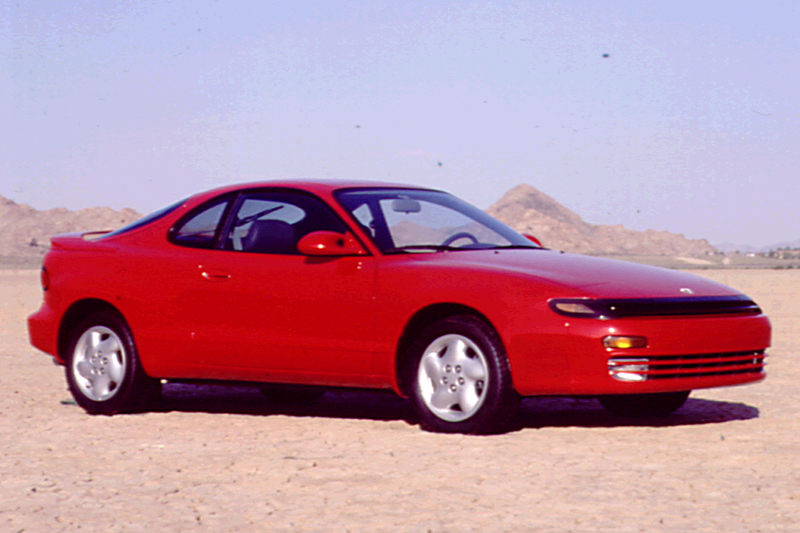 The Celica GT and GT-S carried a new 130-horsepower, 2.2-liter 4-cylinder engine. 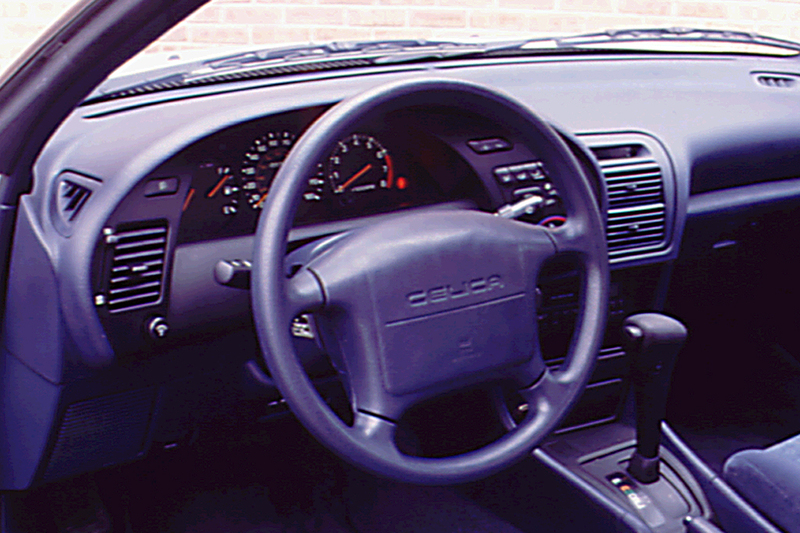 Most Celica models were front-wheel drive, with either 5-speed manual shift or a 4-speed automatic. The All-Trac (permanently engaged 4-wheel-drive) edition employed a 200-horsepower, 2.0-liter turbocharged engine and came only with manual shift. 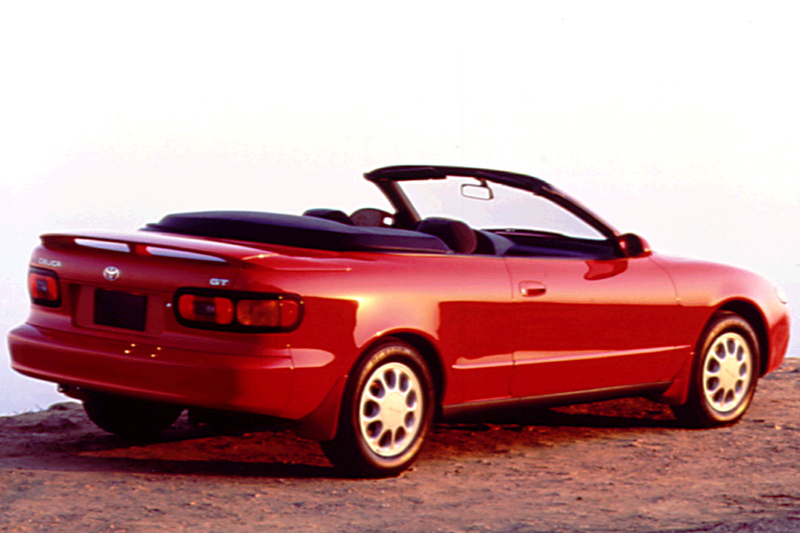 Coupes and hatchbacks were joined by a convertible for 1991, offered in GT trim with a power-operated top that was covered by a soft tonneau when folded down. Celicas earned a modest facelift this year, including a reshaped nose, new taillamps, and larger wheels/tires for ST and GT models. Availability of antilock braking expanded to the GT coupe. Both GT models had a standard rear spoiler. Antilock brakes became standard on the top-line Celica All-Track, and optional on the GT convertible. 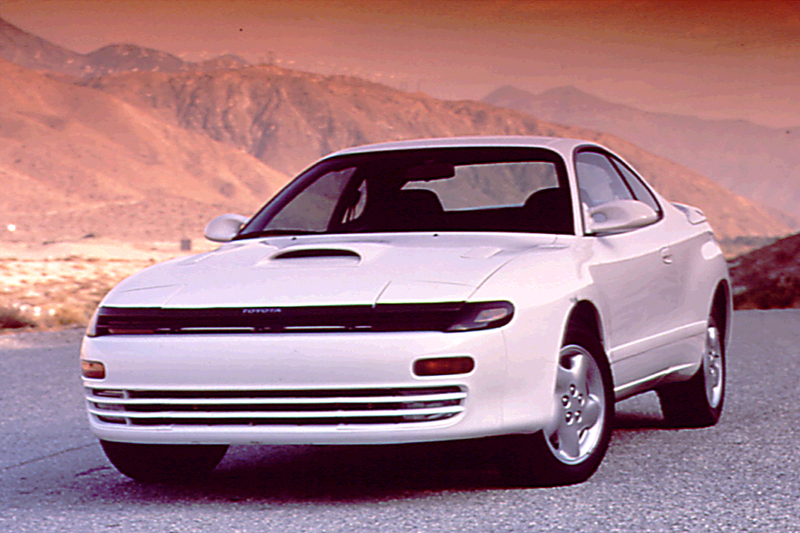 Few other changes were evident in what would be the Celica’s final season in this form. Celicas came with a choice of three engines, depending on model: a 1.6-liter 4-cylinder in the ST; a 2.2-liter four in the GT and GT-S; and a turbocharged 2.0-liter 4-cylinder in the All-Trac. All except the All Trac might have either 5-speed manual shift or an optional 4-speed automatic transmission. Handling and roadholding are decent with an ST and quite sporty with a GT or GT-S. Those two stick to the road tautly and respond well in changes of direction. Each model offers refined road manners and a solid “feel.” The ST’s suspension has the softest damping, therefore, ride quality is somewhat smoother. Other Celica models don’t absorb bumps quite as well, but suffer minimal cornering lean and crisper steering response. An All-Trac not only hugs the road tenaciously, but delivers a mighty blast of power. Refined road manners and an impressively solid bearing are particularly borne out by the convertible, which suffers only minimal body shake of the sort that’s all too common in drop-tops. Base-engine performance is adequate with a 5-speed, but automatic drains away its strength. Manual shift is also the best performance bet with the 2.2-liter engine, though acceleration and gas mileage are impressive with either transmission. Few cars in this category isolate their occupants better from engine and wind noise, but tire roar and exhaust sounds grow intrusive. Low-set seats mix with a high-waisted profile to impair outward visibility. Space is okay up front, but tall drivers (and front passengers) might have to recline the front seatbacks to get adequate head room. The backseat is limited to youngsters, while cargo space is marginal in size and suffers from a high liftover. Description: Airbag inflator might be defective.